If I mentioned 5 speed manual equipped coupes from the 1970's, brands like Alfa Romeo, Lotus, or BMW would first come to mind. 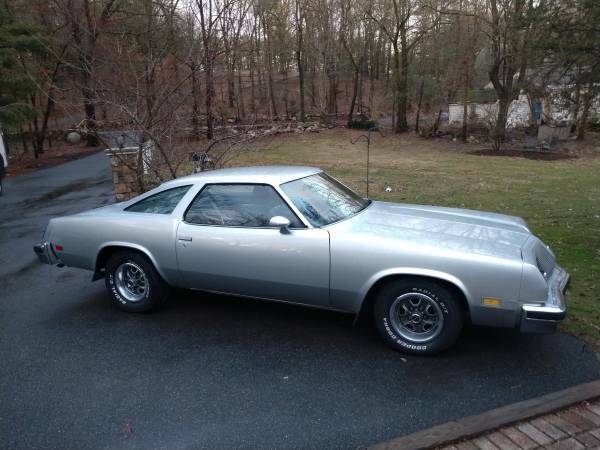 Imagine my surprise when finding this factory 5 speed Cutlass S. You could, but not many did option out the small 260 ci Olds V8 with a 5 speed manual on all models except for the Supreme and wagon. The 260 was a reaction to the 70's fuel crisis and shared the same stroke as the larger Olds 350. The Borg Warner sourced 5 speed could likely be paired up with the larger 350, but am not sure how robust they were. These Colonnade models ended in 1977 and gave way to the even smaller G-body coupes. 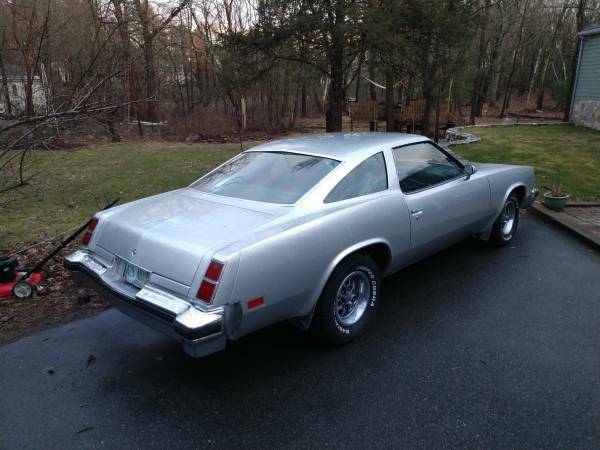 Find this 1976 Oldsmobile Cutlass S for sale in Lexington, MA for $6,900 via craigslist. Yes not a typo, Its a factory 5 speed, I was pretty shocked when I got it, way more fun than an automatic. I drive it everywhere, drives Amazing. It has a great running V8, 260. Great on gas. Smooth as silk in the highway. 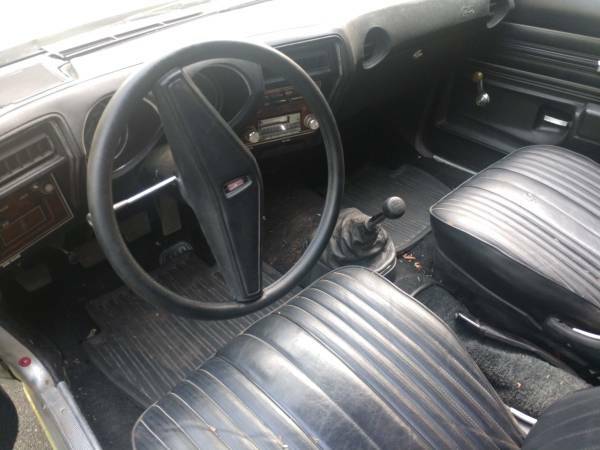 No AC, the interior is original and one seat in the back is starting to open. The entire car is rust free, for the exception of the front driver floor! Gone. I patched it but could be done way better. Price is the price, Its really reasonable, will not negotiate. Please don't call and offer less. Show up with Cash and drive it back to California if you like. Any text that starts with is the car still available will be deleted. If the ad is up, the car is available. To all the scammers; if you put this much effort into a legit job, you would probably make more money. I am not sure how appealing a large coupe with no AC, crank windows, and low output V8 would be even with a 5 speed these days. Those vinyl seats can't be kind to your rear end on a warm summer day. This seems to be another example where rare does not equal valuable, but I could be off the mark. I wonder if the driver's side bucket has the 90-degree swivel that was available on the better equipped Cutlasses of that era. Its a MA car, so an underpowered V8 with a manual in a relatively heavy car would be GREAT in the snow! Its got NH plates on it but is for sale in MA. I wonder if it has an issue with emissions. My first car was a 78 with the 260 V8, what a terrible engine. Rated at 110HP if I'm not mistaken. This is a pretty sharp looking car. It would be fun to throw a bunch of G body pro touring mods at it. In Massachusetts a car that is older than a 1984 has to be registered as a "Classic Car." That means there is a limit on how many miles you can drive it a year. People get around it by registering the car in New Hampshire (through a friend or relative) where they don't care. No, sir. This is THE example of that fact.